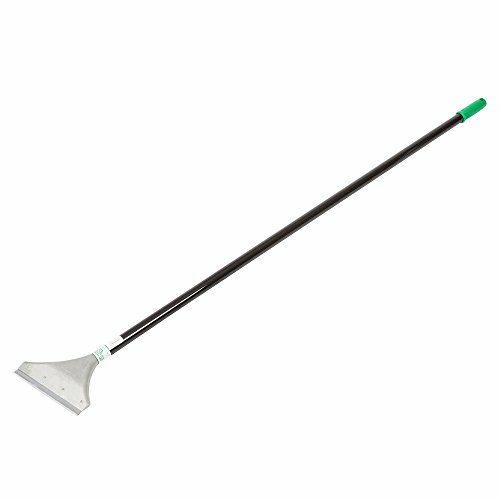 Ideal for heavy duty jobs, this Unger HDSS0 floor scraper features a 60" long handle and 8" angled zinc alloy scraper head. The scraper head is angled to provide increased strength and control while cleaning floor surfaces. It features a double sided blade with a blunt and sharp edge for versatility in a variety of situations.